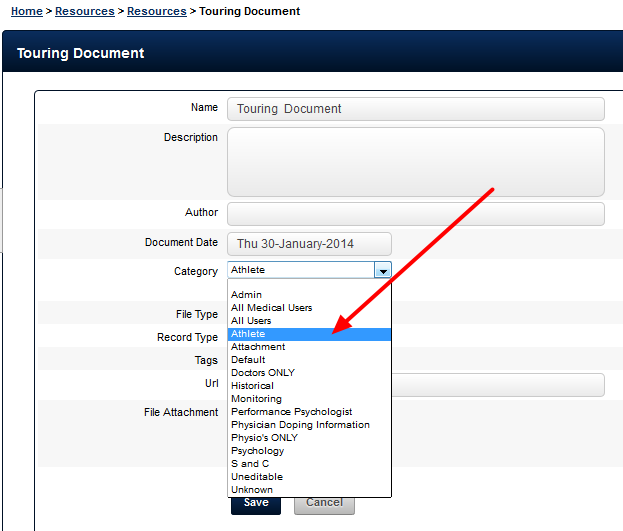 Administration Site Help Documentation The Categories Module enables access to Resources and Resource-AttachmentsWhat happens when you delete a Category? When you delete a Category from the the Categories list, any files and attachments saved in that file are NOT deleted. Instead they are classified into the category "Unknown". This ensures that you can still access all of the resources on your system (since a resource with no Category set cannot be accessed by anyone). Read the steps below to find out exactly what happens and what you need to do. 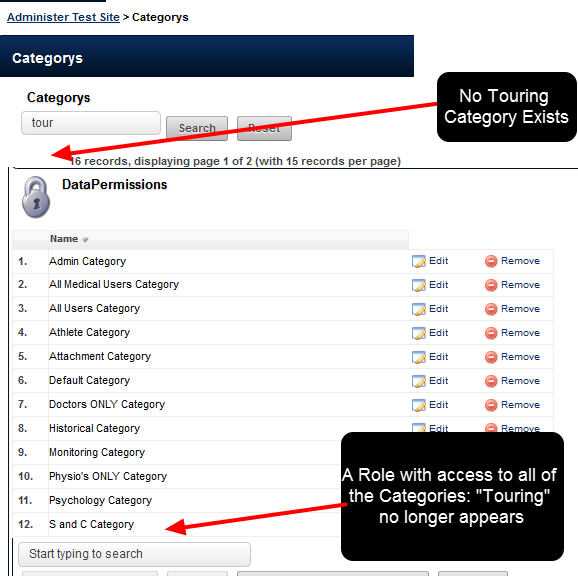 There are existing Resources stored in a Category called "Touring"
In the Categories Module on the Admin site the Touring Category is being deleted from the Categorys List. The images here show that the Touring Category no long appears in the Categories List. 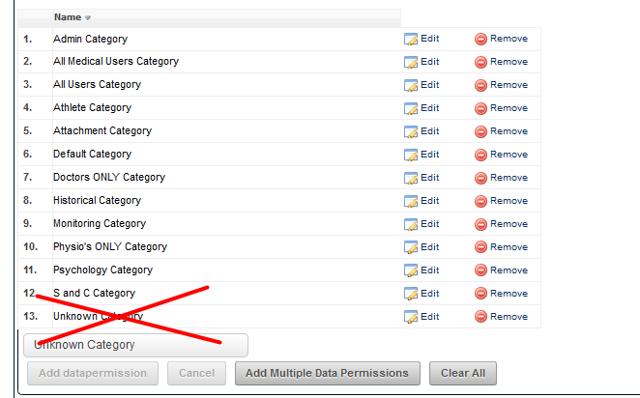 No Data Permissions can be assigned using this Category, and all existing access to that Category is automatically removed from Roles. However, for every Resource that is in a Category that is deleted, these are automatically placed in a Category called "Unknown"
This Category can be assigned as part of a Roles' Data Permission if required, but this is NOT recommended. The Unknown Category can be added into a Role. 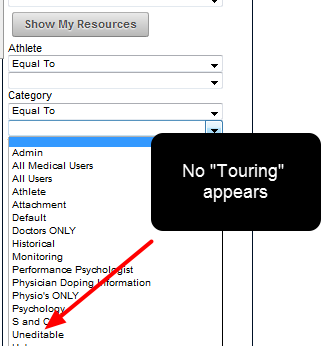 However, we do not advocate enabling access to that Category via a Role, especially as a Medical Category could accidentally be deleted and then all of the Resources would be added to the Unknown Role. Subsequently, anyone with access to the Unknown Category could see these Resources. The Unknown Category is essentially for emergency use to ensure no Resource/s are ever left uncategorised. 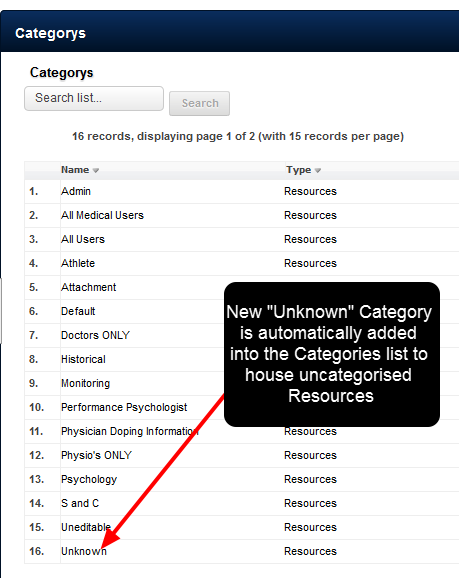 Administrators can always check if there are Resources that have been categorised into the Unknown category from the Resources Module. Click on Manage Resources (see the Help Manual for information how to Manage your Resources) to access the ability to edit, update or even recategorise the existing Resources/Attachment-Resources. Ensure you consider how to manage any Resources in a Category that has been deleted. If it was an accidental deletion, then set up a new one, and add in the Resources from the "Unknown" category back into the new Category. If it was delete correctly, then make sure you either reassign a category to these Resources, or delete them. An example of a Resource from the Unknown category being recategorised.